Congratulation to three Evolutionary Biology Laboratory graduates! 2012 ends with some great news. Wei Song Hwang and Guanyang Zhang have just successfully defended their PhD theses at the University of California at Riverside. 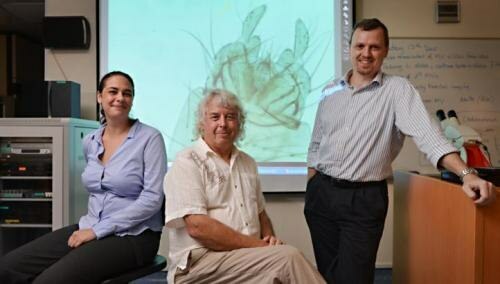 Both obtained their Honours degree from the Evolab at NUS in 2008 and then moved on to studying reduviid bugs. Dr. Hwang is coming back to Singapore and will join DBS as an instructor in January 2013. We look forward to seeing you around again! Andie Ang’s research on colobines (Singapore and Vietnam) was recently featured in videoclip by “At Films” and you can enjoy seeing this here: http://vimeo.com/49639869. In this, she describes her work on colobines, their population genetics and conservation. Andie, this is fantastic! Andie Ang, who was previously studying the critically endangered banded leaf monkeys in Singapore (Evolutionary Biology Lab), is now in the second year of her PhD programme at the Department of Anthropology at the University of Colorado at Boulder, USA. During the summer (Jun-Sep) she spent conducted pre-dissertation work in Vietnam on the colobine monkeys there, and a short film (nine minutes) was made about her research by At Films (atfilms.info). Conserving Colobines: Saving Endangered Leaf Monkeys in Việt Nam [保育越南濒危叶猴] from At_Films on Vimeo. I told Andie she looked too fierce in the film, and she promised to smile more in future! Her work with population genetics of Vietnamese colobines is critically needed as most of the colobines are either critically endangered or endangered and are found in decreasing areas of forest fragments. Andie will be examining the genetic variability of three Vietnamese colobine species: the black-shanked douc (Pygathrix nigripes), the Indochinese silvered langur (Trachypithecus germaini), and the Tonkin snub-nosed monkey (Rhinopithecus avunculus) to assess the viability and conservation status of these threatened species. For updates about Andie Ang’s research on primates, see her Google Site. TA recruitment for AY2012/2013 Semester 2 – application open! Please refer to this link for more detailed information: https://nusbiodiversity.wordpress.com/ta-recruitment-sem-2/. The application form for this year will be slightly different since it is a combined recruitment exercise with the Molecular and Cell Biology group. Please take note that all modules are listed under module choice. Applicants can indicate up to 3 modules that they would be interested in teaching. We will then process the applications and confirm teaching allocations via email. The deadline is 28 Dec 2012. We look forward to your applications! Thank you!